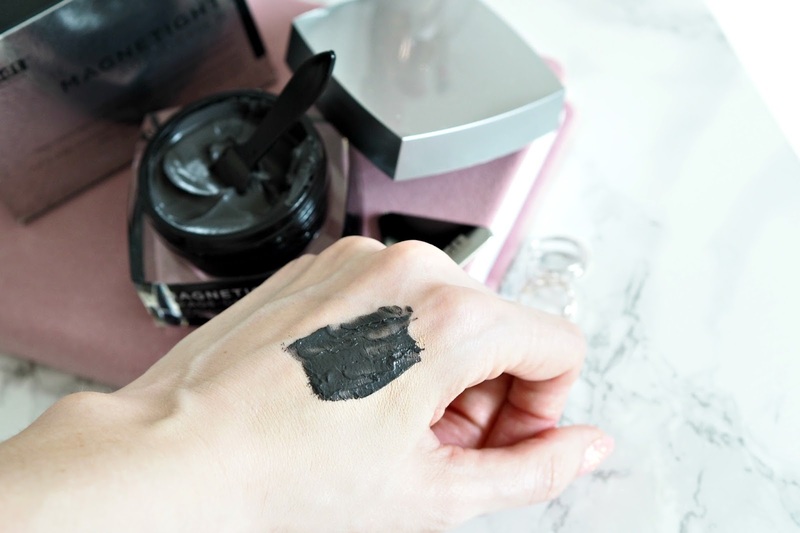 Face masks seem to have been a big topic in the beauty world for about the last year and with new and interesting types of masks constantly coming out I can see why. There’s been cream masks, peel off masks, sheet masks and dry masks. 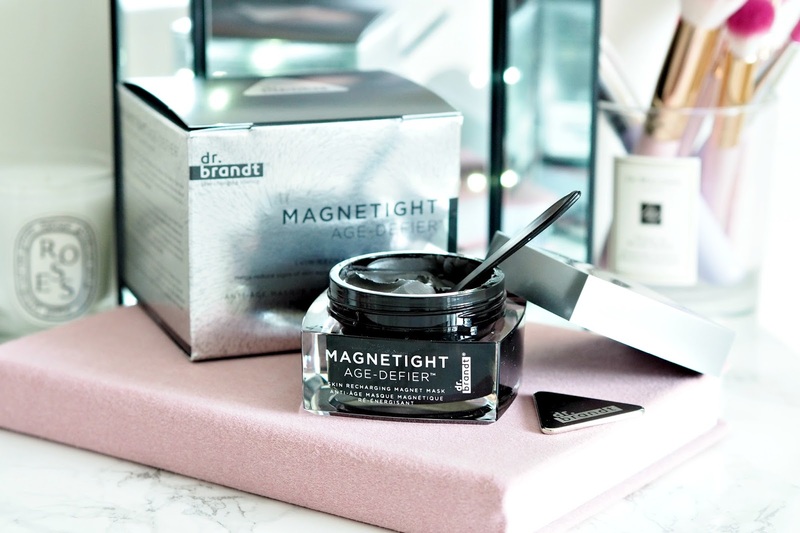 Just when I thought I’d tried them all Dr Brandt come out with Magnetight – The Age-Defier Skin Recharging Magnet Mask. 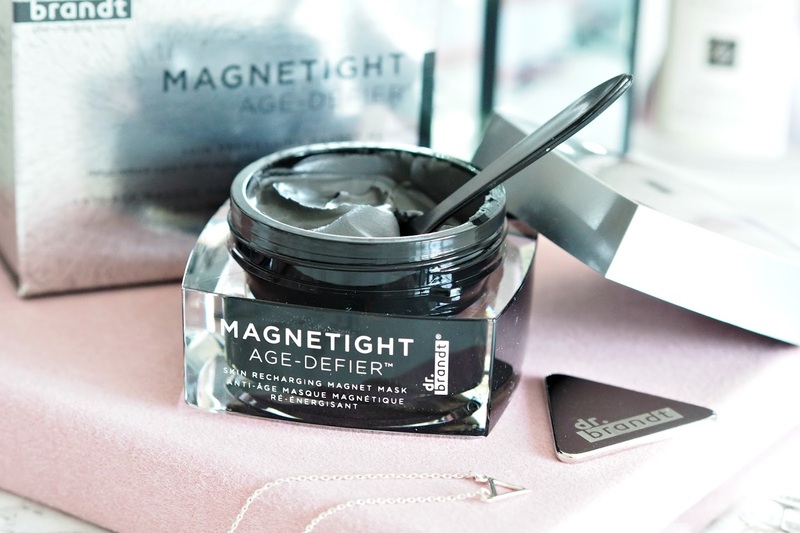 As the name suggests the Magnetight Magnet Mask uses magnetic attraction to tighten the skin and help combat the effects of stress and environmental damage on the skin. 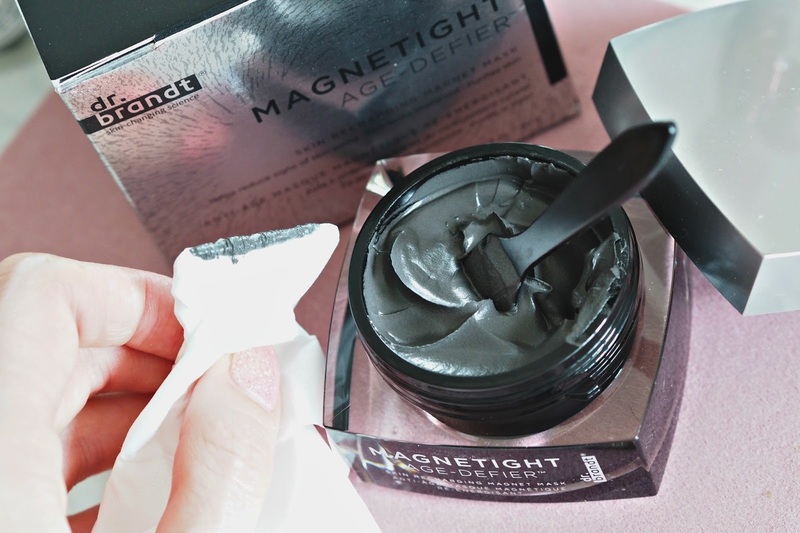 The Magnetight Mask is grey in colour and has a thick gloopy consistency – yet it feels fairly light on the skin. You apply it with a small spatula that is provided. It’s tricky to get even coverage but it only needs a fairly thin layer so that doesn’t matter too much. You leave it on for 5-10 minutes, relax and then the fun happens! 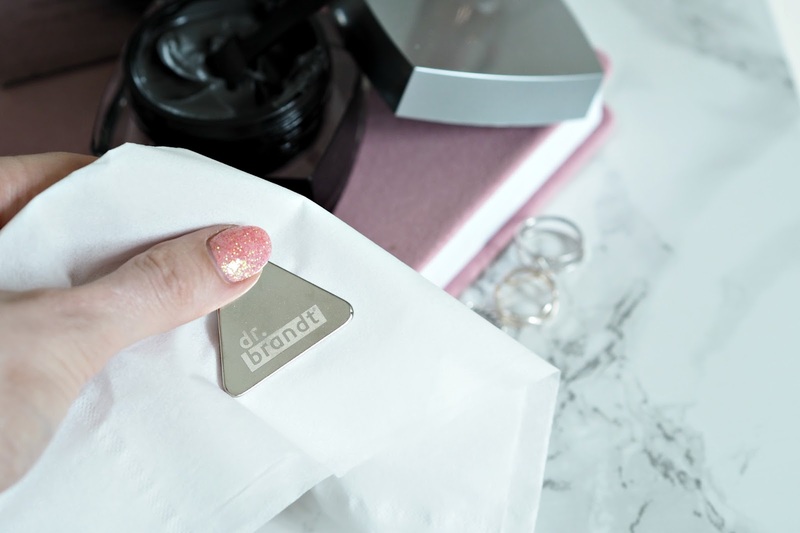 You wrap the small metal triangular magnet in and tissue and hold it very close to your face – then watch the mask quite literally jump off your face and attach to the tissue. The mask uses iron magnetic particles that draw out toxins and daily residue trapped in the skin. To remove the Magnetight mask off your whole face takes a bit of time as you have to keep getting fresh bits of tissue, but as it’s strangely satisfying I didn’t mind one bit. You are then left with a oily serum like texture on your face which you then massage in and it leaves your skin feeling very hydrated. My face afterwards looked brighter, felt smoother and the size of my pores definitely appeared reduced. It’s also a plus that it did not aggravate my sensitive skin at all, and I would say my redness even decreased slightly after using this mask. I haven’t used it long enough to know if there are any anti-ageing benefits of this product – and can you really ever tell anyway..!? But it’s definitely a face mask that I enjoyed using and I was pleased with the initial results I did see. The Dr Brant Magnetight face mask can be purchased in the UK online at Feel Unique, Beauty Bay and The Hut Group for £64. What are your thoughts? Would you use a magnetic face mask?